Owning your own home has long been considered the great Australian dream but many people wonder if it’s still a dream that’s within the reach of average working Australians. According to the official Australian Demographic Statistics, Queenslanders move house more frequently than other Australians. On the Gold Coast and Brisbane, that means home loans are big business. A home loan will almost certainly be the biggest financial commitment you will make in your lifetime so it’s worthwhile taking time to make sure you understand exactly what you’re committing to and getting the right loan for your particular situation. There are many legitimate lifestyle reasons people have for moving including employment opportunities, family commitments and education. Whatever reason you have for buying a home you’ll need the help of a home loan. There are two main types of property loan customers, those looking to buy their first home and those looking at purchasing their next home. There are many different types of home loans available. First time home buyers are exactly as it says, loans for people who have not already owned a home in their name. We can give you expert and up to date advice on which government grants you are eligible for. The real cost of buying a home also includes additional costs such as stamp duty and possible lenders mortgage insurance (LMI). Other types of fees associated with home loans are establishment fees and settlement fees. To complicate this, different lenders have different terminology for their fees. Fees can vary widely between lenders so having access to many different lenders gives you a good way to compare fees and having advice on hand from someone experienced in the world of home loans will save you guess work and overpaying. Very few people have the ability to purchase a home without need for a home loan of some type. Maybe you’ve been renting and saving for a home deposit or maybe you’re already in a home and need to up-size or down-size. Whatever your reason you are unlikely to be in a position to finance your move without a home loan. Getting into your dream home is your goal and we understand how important it is for you to make the right decision for you and your family’s future. With our expertise you will know exactly what costs are involved and what your borrowing capacity is. We can help you determine the maximum LVR (Loan to Value Ratio) you’ll need for approval and assist you in working out the required deposit amount you’ll need. We’re here to help you with all your home loan needs, now through to settlement and even after settlement. We make sure we understand your situation completely so that we can help you decide which loan is right for you. Not just for the short term but for the long term as well. Buying a house can be as stressful as it is exciting. 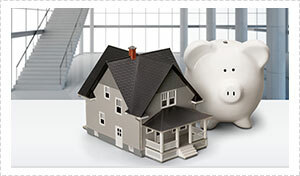 At Nexhome Finance we can help alleviate much of the stress for you. We are experts in the area of home finance, so whether you’re a first time home buyer or have been down that road before our dedicated and professional team can help you. We specialise in Gold Coast and Brisbane based residential property purchases, and with over 30 lenders available we are confident we can source the best and most appropriate home loan to suit your needs.